Method 1: if you are using the GUI. 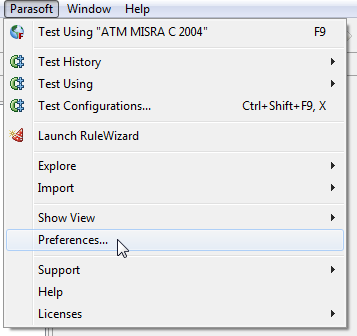 From the menu click on "Parasoft" and select "Preferences..."
Then when the Preferences dialog appears be sure to expand the "Parasoft" tree on the left hand side and then select "License". 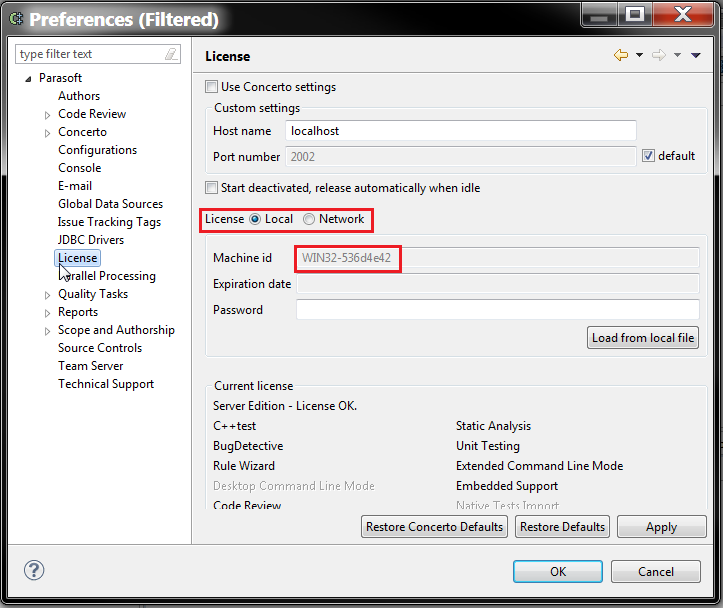 On the right hand side be sure the "License" radio button is selected to "Local". Then, you will be able to capture the machine ID from the "Machine id" field. $ cpptestcli -config "builtin://Parasoft's Recommended Rules"
This will make an attempt to perform static analysis on a project within your workspace. However it will fail because your system does not have a license. NOTE : Please keep in mind that this method WILL NOT generate a machine ID if the Parasoft product is ALREADY licensed.